Linebacker Jake Ehlinger signed as a preferred walk-on for the Texas Longhorns. 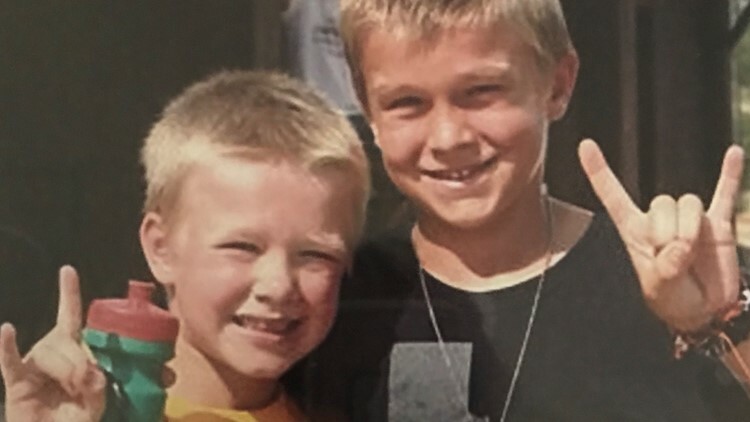 AUSTIN, Texas — Sam Ehlinger will have a familiar face on the sidelines with him in 2019 as his younger brother, Jake, will join the team after signing to be a preferred walk-on for Tom Herman’s Longhorns. Sam, the star quarterback, is happy for what his brother has achieved. “I’m so proud of the way he’s worked his whole life for this moment,” said Sam. “I’m glad he signed his life away to us. It’s going to be a lot of fun having him on the team." It’s a fun time for the entire Ehlinger family. Their dad, Ross Ehlinger, died several years ago and was a graduate of UT. Their mom, Jena Ehlinger, said Ross was with them today. And the party will really get started when they wear burnt orange together in the fall.